There’s never a dull moment when your child is a bright, free spirit. So go with a theme that’s just as characterful as they are. Like Folk, the fun collection for tots to teens. They were definitely onto something in the 70s. 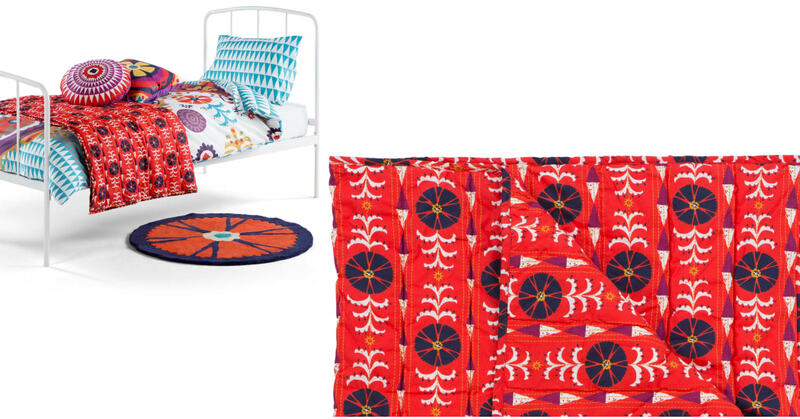 These bright, bohemian prints really do make you smile. So we ran with it for this throw, designed with a flower-power pattern. It has a fun design, but it's crafted by discerning manufacturers. The 100% cotton cover and polyester padding are made in India.